Want to know how to apply for a provisional driving licence? Getting your provisional license is the first step to getting on the road. Find out everything you will need to do to apply. Before you get behind the wheel, whether that’s for a professional driving lesson or practicing in a friend’s or relative’s car, you will need to get a provisional driving licence. You’ll also need a provisional licence before you book your theory, hazard perception, or practical driving test. 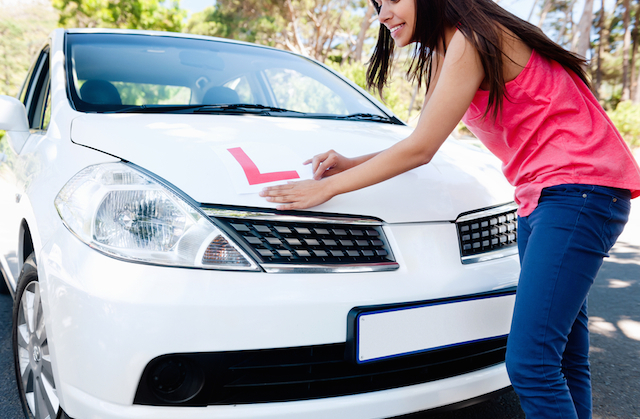 You can apply for a provisional licence as early as three months before you turn 16, but will need to wait until your 17th birthday before you can learn to drive. You must be a resident of Great Britain (Northern Irish citizens need to apply for their provisional licence via a different service, the DVA). You must be at least 15 years and 9 months of age at the time of applying for your provisional licence. You must be able to read a standard licence plate from a distance of 20 metres (with glasses or contact lenses if necessary). To apply for your provisional licence, you can either fill out a D1 form from the Post Office or apply on the DVLA website. Postal applications can take up to three weeks, whereas online applications should be processed within a week. When submitting your provisional licence application you’ll need to inform the DVLA of the addresses you’ve held over the last three years, as well as providing a colour passport-style photo. You’ll also need to provide a valid form of ID such as a current passport, a biometric residence permit, or a UK certificate of naturalisation. If you don’t have any of these documents you can send your birth or adoption certificate along with one of these other forms of ID: proof of your National Insurance number; benefits claim letter or a photocopy of the front page of a benefits book; P45, P60 or pay slip; marriage certificate or divorce papers; college or university union card, school record or PASS CitizenCard. You should be wary of unofficial sites that offer to process your licence application, as they often charge a hefty admin fee on top of the cost of your licence. By going direct to the DVLA, you’ll just be subject to a fixed fee of £34 if you apply online or £43 if you apply by post.